Queensland’s Coral Coast lies in the protected lee of the Great Barrier Reef and ranks as one of the greatest cruising grounds in the World. Thousands of adventurers have chartered in the magnificent Whitsunday Islands and Whitsunday Rent A Yacht is now making it possible for charterers to venture further afield. Explore even more of the fantastic Coral Coast and visit the outer Great Barrier Reef, sailing your vessel in company with other chartered bareboats and with the confidence of knowing that you are guided by an experienced Master Mariner aboard a lead vessel. 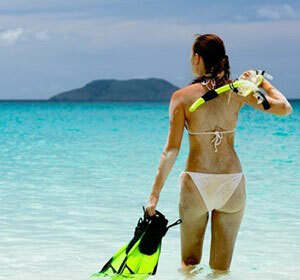 Whitsunday Rent A Yacht Coral Coast & Great Barrier Reef Flotillas offer the next level of sailing experience. Seldom visited spectacular North Coast anchorages, remote coastal resorts and snorkelling on the outer Great Barrier Reef are just part of the adventure. Pre departure route planning, daily navigation and activity updates, on call support from the lead vessel and open channel radio communications contribute to greater safety and create opportunities for the kind of camaraderie experienced by likeminded people exploring new boundaries together. November 11th - November 20th, 2019, November 22nd - December 1st, 2019. Provision yourself on day one prior to boarding your vessel in the afternoon or select from what’s on offer online through Whitsunday Provisioning or Slice of Nature Food. All meals are included for Guests booked aboard the lead vessel. There are limited vessels available for each Flotilla departure so reserve your Bareboat now. Be amongst the first bareboat charterers to venture out to the Great Barrier Reef and explore spectacular and rarely visited bays and islands. 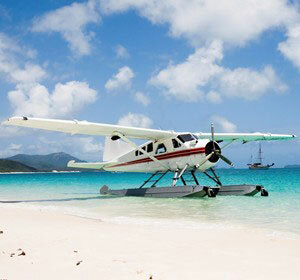 So many people dream of ‘Cruising’ the Coral Coast and visiting the outer Great Barrier Reef. This is your chance to live that dream. *Sample Routes - All flotilla routes and programs are subject to prevailing weather conditions which may change daily. Flotilla participants must understand and accept that plans may have to change in the cause of comfort and safety. No individual destination is guaranteed. 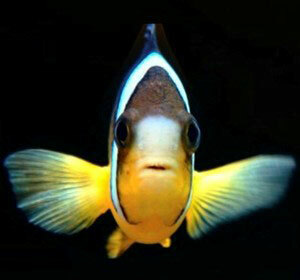 We recommend that you take out Travel Insurance. 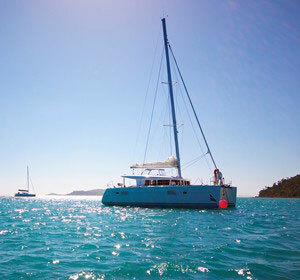 Please refer to our Whitsunday Rent A Yacht Terms & Conditions.